The life you want to live is waiting for you at Heritage at Spring Mill. Explore this community and see for yourself. The sophisticated single-level Geneva offers dual Owner’s Suites, a formal dining room and an office. The Monaco is an expansive ranch with a guest suite, spa-like Owner’s bath, and gourmet kitchen with a large breakfast bar. Spread out in the Naples, a spacious home with first-floor Owner's Suite with a private office, two-story family room and two bedrooms located upstairs. The Turin is an impressive master-down home that exudes luxury, with a two-story family room, private office and spacious loft. Luxury abounds in the first-floor master Vienna, with a spa-like Owner’s bath, guest suite and open concept kitchen and family room. Residents at Heritage at Spring Mill live in the heart of Carmel minutes to luxury amenities, outdoor recreation, retail and the arts. Shop at the upscale Clay Terrace mall, take in a show at the Palladium or stroll the eclectic Arts & Design District before stopping in one of its acclaimed restaurants. Just north of Indianapolis, Carmel is home to award-winning schools, thriving businesses and safe, family-oriented neighborhoods. Carmel offers an abundance of local shops, restaurants and activities in addition to its bustling town center. Enjoy direct access to miles of the popular Monon Trail and Monon Community Center with nature preserve and waterpark. 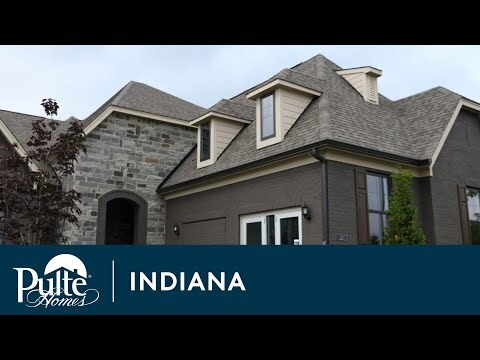 Carmel residents have easy access to downtown Indianapolis and surrounding areas.